Beautiful streetscapes, cul-de-sacs and protected conservation areas threaded with walking and biking trails. At Harlow Farms, many generations come together to enjoy a lifestyle bound by a love of the north woods. This unique enclave welcomes you home to a community of more than 100 acres of picturesque rolling land, nestled right here in the beautiful forests of the southwest edge of Marquette, Michigan. At Harlow Farms you will be greeted by inviting front porches and backyard decks on which friends and family will gather for celebrations and casual relaxation. 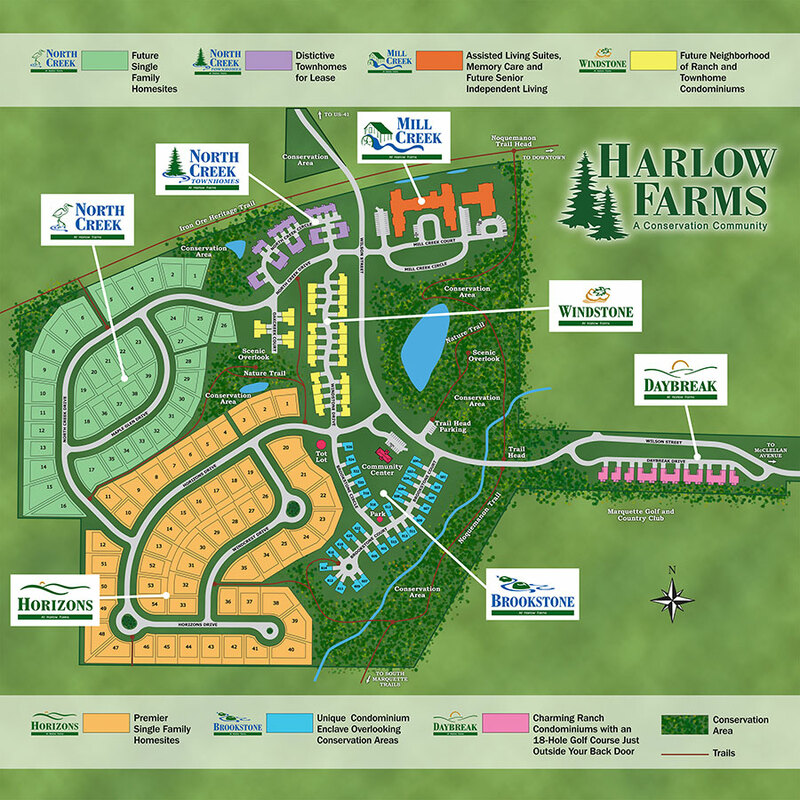 Community living takes on a whole new meaning at Harlow Farms where over 25 acres are committed to green space and conservation areas including a beautifully maintained trail system for walking and biking. In addition to these trails, the 48 mile Iron Ore Heritage Trail runs through our neighborhood for year-round recreation. Relax on the patio at Mill Creek and enjoy watching bikers, walkers and runners go by.